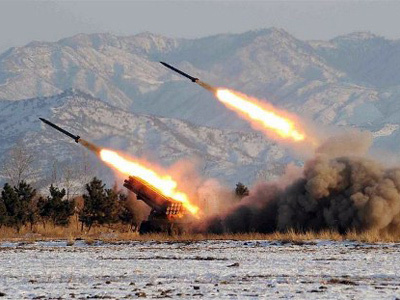 The South Korean government has threatened to shoot down a North Korean rocket due for launch in April. The rocket mission has sparked international controversy, the US labeling it a test for a long-range missile that could carry nuclear warheads. "We are studying measures such as tracking and shooting down [parts] of a North Korean missile in case it strays out of its normal trajectory" and violates South Korean airspace, said Yoon Won-shik, a spokesman at the South's Defense Ministry. Japan has also rattled the saber, saying it will shoot down the missiles with AEGIS warships if the rocket threatens their country. The international community has condemned the launch amid calls from the US and South Korea to abort the mission immediately. According to a UN resolution, ballistic missile launches by North Korea for any purpose are outlawed. 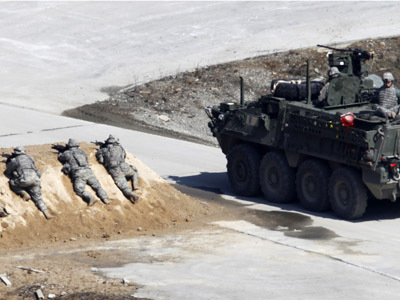 Both the US and South Korean military are currently monitoring the situation for developments. 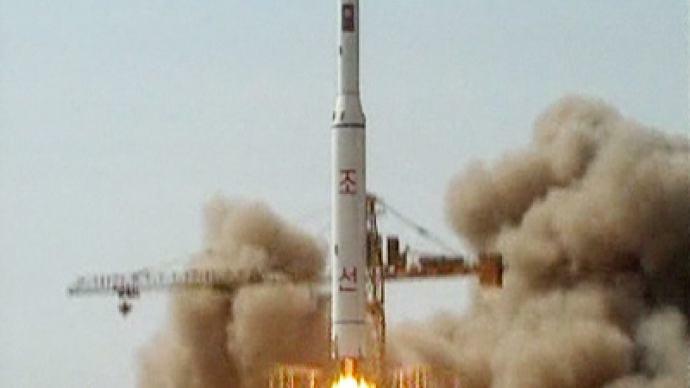 Recent reports say that the rocket has been moved to the village of Tongchang-ri and is prepping for launch. ­US President Barack Obama has called on Beijing, North Korea's only major ally, to try and persuade Pyongyang to abandon its nuclear ambitions. Talking on the sidelines of an international nuclear summit in Seoul, Obama said that China's actions of "rewarding bad behavior (and) turning a blind eye to deliberate provocations" were obviously not working. 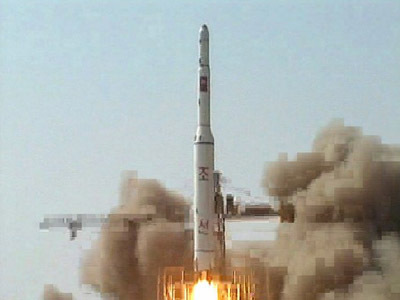 Chinese President Hu Jintao, in his own remarks, described the satellite launch in North Korea as a "very complicated and sensitive" issue, but refrained from making any commitments. 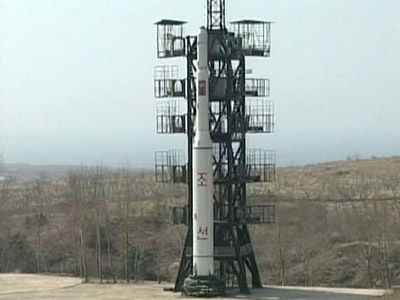 Washington suspects that North Korea’s rocket launches are a front for the testing of nuclear warhead delivery methods. If the current launch goes ahead it could seriously jeopardize an agreement reached with North Korea last month to deliver US food aid to the country, says Obama. Seoul has once again declared that “North Korea's announcement of a long-range rocket launch plan represents a violation of UN Security Council resolutions and a grave provocation against the international community.” This statement was released by President Lee Myung-bak’s office following the leader’s meeting with UN Secretary-General Ban Ki-moon over the weekend. Pyongyang insists the launch is part of a mission to deliver an observation satellite into orbit and has no military purpose. South Korea believes this a long-standing pretext for the North Korean government to conduct banned missile tests. He said that Pyongyang understands that the US “does not have the military option” and that Russia and China strongly oppose military action. “Pyongyang feels safe to continue its nuclear brinkmanship,” he said, stressing that North Korea was well aware that the US is already “overextended” with other foreign policy commitments like Syria and Iran. Dr John Swenson-Wright from the department of Asian and Mid-East studies at Cambridge University told RT that North Korea’s defiance would have serious consequences. “The delicately-negotiated deal to provide nutritional assistance to North Korea in return for concessions on the nuclear regime will almost certainly be taken off the table,” he stressed. “The North needs the satellite, or missile launch as a means of demonstrating its assurance and its commitment to supporting the interests of its own people,” he said. Missile test tug-of-war in North Korea?